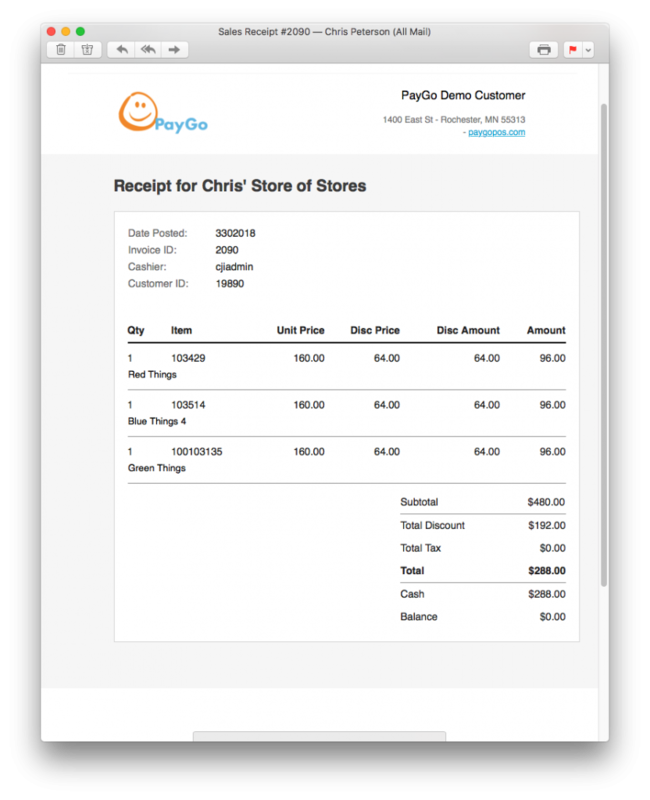 Give your customers the option of receiving email receipts with PayGo EM. It’s better for the environment, better for your customer’s record keeping, and better for you (saves you money on paper and ink). 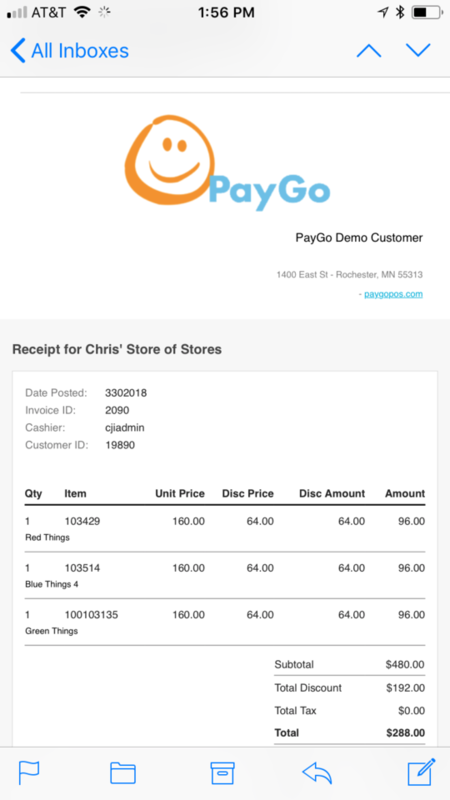 In this article, you’ll learn how to set up and use PayGo EM to send your customers simple, verified, html-based receipts using your PayGo Point of Sale software. 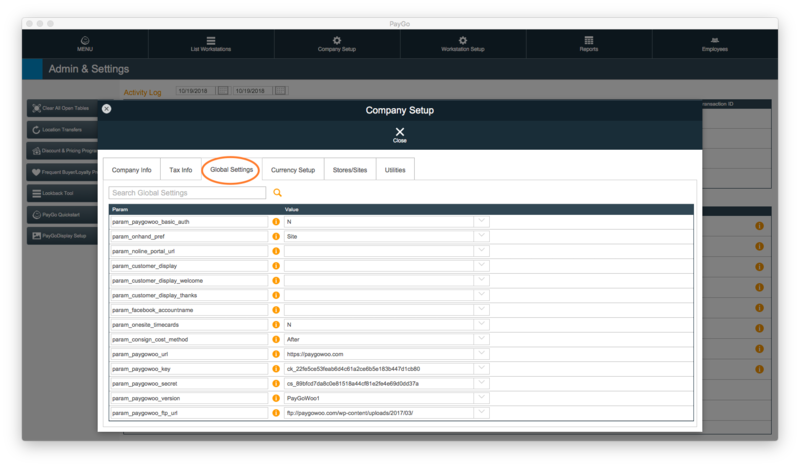 In the Search field below the tab, type “mandrill” and click the Magnifying Glass icon. param_mandrill_api_key: Provided by PayGo after registration. param_mandrill_url: Provided by PayGo after registration. param_mandrill_template_receipt: This is where you set the template for your email receipts. It will be provided by PayGo after registration. param_mandrill_subaccount: Provided by PayGo after registration. param_mandrill_emailfrom: Enter the email address your receipts will be emailed from. 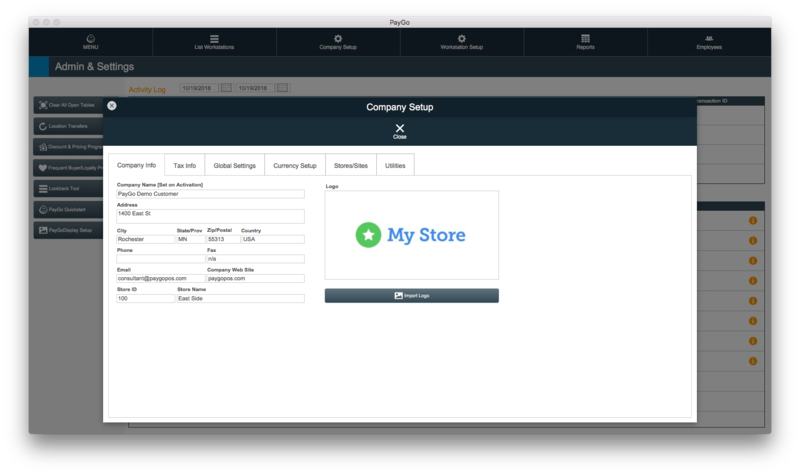 param_mandrill_from_name: Enter the store or company name that you want your customers to see on their receipts. param_mandrill_active: Typing Y in this field will activate PayGo EM in your PayGo software. param_mandrill_email_replyto: Enter the email address you’d like your customers to respond to, to request further assistance. param_mandrill_template_event: This is where you set the template for your event and class emails. It will be provided by PayGo after registration. Purchase of PayGo EM Events is required. param_mandrill_quote: This is where you set the template for your emailed quotes and will be provided by PayGo after registration. Purchase of PayGo EM Quotes is required. param_mandrill_po: Not available at this time. 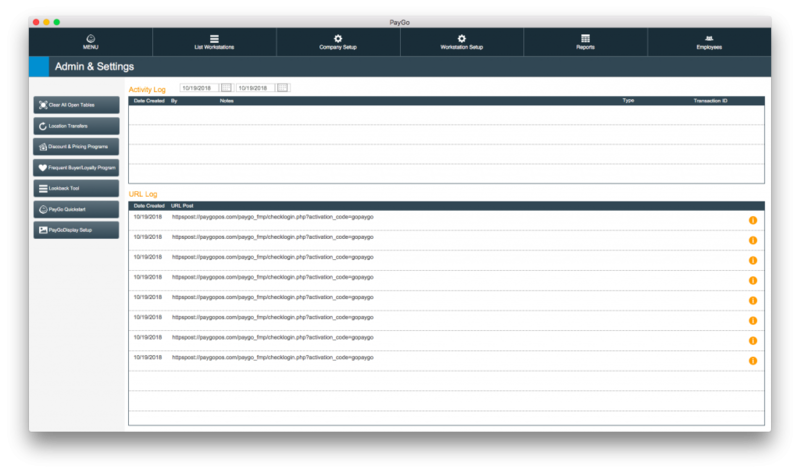 param_mandrill_event_reminder_days: Enter in the number of days prior to an event that you want a reminder to be sent to your customer. param_mandrill_template_paygoconsign: If you have PayGo Consign, this is where you set the template for your consignor emails. For more information on this feature, see PayGo Consign. Once all of the relevant fields have been completed, click the close button at the top of PayGo’s Customer Settings screen. Your changes will be saved. First, make sure you have your customer’s information entered in and associated with the sale. 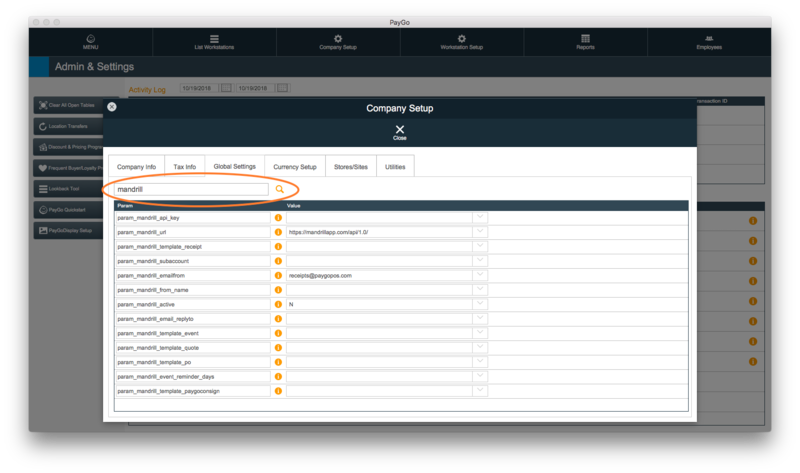 Check with your customer and make sure you have their current email address in your software. They might be missing out on sales and specials that matter to them if you don’t! Click here for instructions on how to enter and maintain your customer’s information in PayGo. 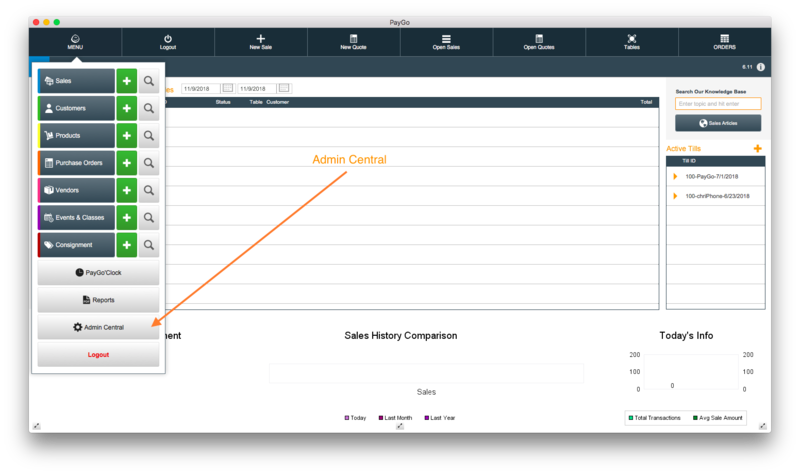 Next, select Email in the Print Output field on your Sales Screen. Once the transaction has been completed, the receipt will be sent to the customer. 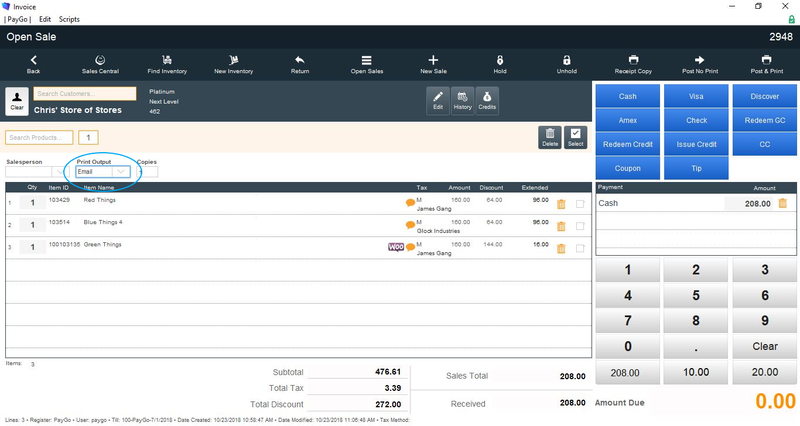 Sample of an emailed receipt opened on a computer screen. Sample of an email receipt opened on a smartphone.